SEATTLE -- He cracked jokes, complimented the professional demeanor of an air traffic controller and apologized for making a fuss. 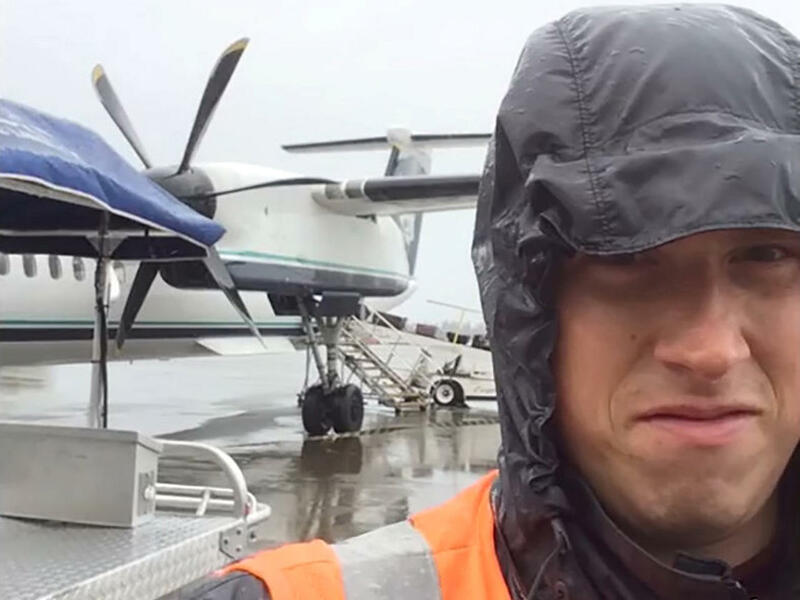 But the friendly tone of a 29-year-old airport worker who stole a commercial plane Friday night, performing acrobatic stunts before a fatal plunge into a thick island forest, belied his desperate actions. The theft illustrated what aviation experts have long known: One of the biggest potential perils for commercial air travel is airline or airport employees causing mayhem. The plane was a Bombardier Q400, a turboprop that seats 76 people, owned by Horizon Air, part of Alaska Airlines. It was empty, parked at a Seattle-Tacoma International Airport cargo and maintenance area for the night after arriving from Victoria, British Columbia, earlier in the day. Russell, a 3-1/2-year Horizon employee, worked as a ground service agent. His responsibilities included towing and pushing aircraft for takeoff and gate approach, de-icing them, and handling baggage. "You think if I land this successfully, Alaska will give me a job as a pilot?" he joked.